The visit is set to celebrate the 16-year partnership between the City of Gavle and BCMM. During the celebration Pakati spoke about the cities achievements and experiences during the partnership. 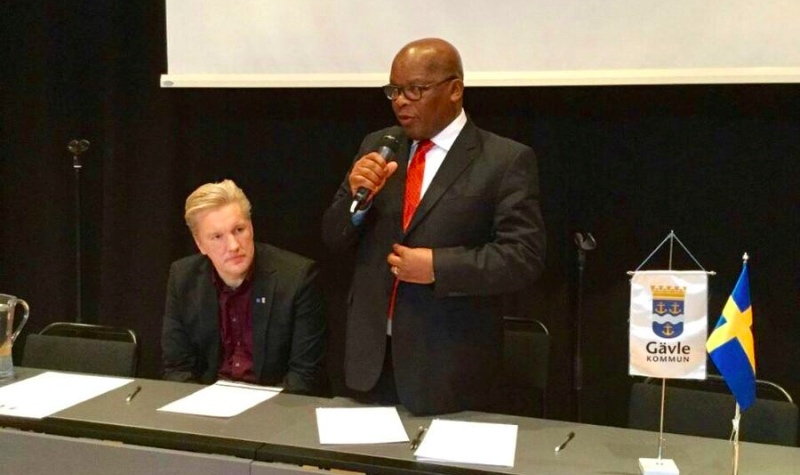 Pakati thanked the City of Gavle's Council for the shared experiences saying, "There are tangible outcomes for our city that have emerged from the 16-year partnership with Gavle. The relationship led to the birth of the Community Support Centre Project which was based on the Gavle Citizen Advice Centre concept." He added that,the partnership led to the development of three community support centres in Mdantsane, Duncan Village and King Williams Town in 2006. "These community support centres have been instrumental in providing support to the communities more particularly young people and women." Pakati spoke intensely about the collaboration between the cities in the area of youth development has also seen the creation of Youth Advisory Centres. "The partnership with Gavle Municipality also assisted in the development and modernisation of our Roads Management System and our Transport Planning. These included the piloting of a transport planning model, the development of a public transport framework and a traffic safety audit. There was also extensive collaboration in public safety and dealing with the HIV and AIDS pandemic."